Katie Price’s face thread lift has been a hot topic recently. Having already used Botox® and Dermal Fillers to help rejuvenate her face, she was looking for a better result and she chose to have thread lift treatment. At The Treatment Rooms in London we have already written about what you should be considering when looking to have a thread lift. And in this blog we wanted to expand on the potential treatments that can be provided when you look to rejuvenate your face. We also reflect on how Katie Price has responded to treatments so far. 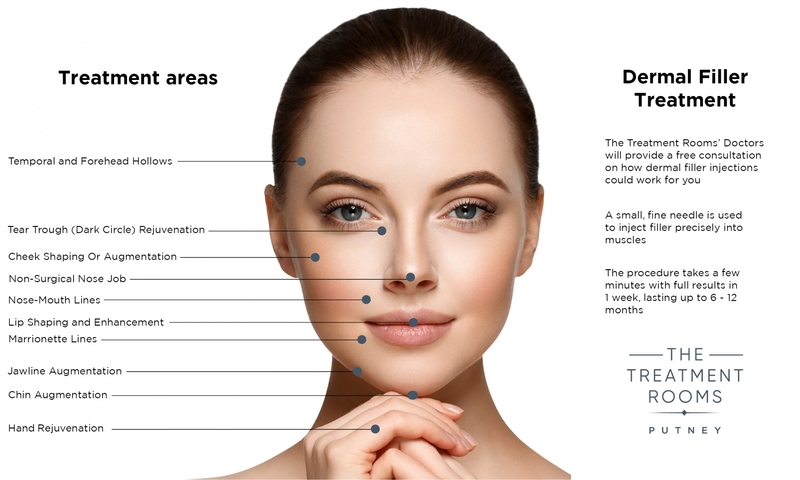 If you are looking for facial rejuvenation or a face lift, The Treatment Rooms’ Doctors are able to guide you through the different ways of achieving this. Together with simple skin care regimens all the way up to non-invasive methods of achieving a refreshed look we will make sure you are fully informed on all treatments available to you. At The Treatment Rooms, our Aesthetic Doctors are able to achieve rejuvenation using Botox®, Dermal Fillers or Thread lifts. They can be used in isolation or in combination. What is the difference between Botox®, Dermal Fillers and Thread Lifts? Using Botox® we can perform a mini upper face and neck lift. Using dermal fillers strategically placed in the face we can achieve a subtle, natural face lift. With PDO threads we are able to pull up skin and fat tissue to treat areas of sagging. Together they can make a powerful trio of treatments! Each treatment can have amazing results but they need to be chosen carefully to suit your needs. Botox® and Dermal fillers can only give you a certain amount of a lift which lasts 6- 12 months. If your face has aged significantly, perhaps these treatments won’t quite meet your expectations. On the other hand, for those looking for a subtle lift, they work very well! So when should you consider a thread lift? A thread lift is great at pulling up sagging skin and fat. If your jawline has lost its shape and contour from a sagging jowl then a thread lift can help redefine your jaw. Other areas of the face that can be lifted include your eyebrows and cheeks. Katie Price’s face thread lift aimed to create a similar lift. Using a rule of thumb, a PDO thread lift is able to achieve around 1cm lift in skin and tissue. If you wanted less then your Doctor can tailor your treatment. If you wanted more lift, PDO threads in combination with dermal filler can work well. Should you decide you wanted a drastic face lift then a surgical face lift may be the option for you. However be warned, the downtime can be long with a surgical face lift. When should you not consider a thread lift? You should always talk with your Doctor or thread lift specialist prior to having the treatment. If you haven’t had your questions answered then think twice about proceeding with a thread lift. Our Doctors at The Treatment Rooms make sure they go through all your questions thoroughly before planning treatment. Taking time out to think about the procedure is also important as it gives you space to reflect on whether a thread lift is in your best interests. Katie Price has, by her admission, had a number of cosmetic surgeries and continues to strive for more. At The Treatment Rooms, we are hoping she fully considers the available treatments on offer to her and weighs up the pros and cons of each with her Doctors. If you wanted accurate advice on what can be achieved with a face lift and whether it is the right procedure for you- book in to see a Doctor. Our Medical Aesthetic Doctors at The Treatment Rooms London are happy to see and assess your concerns. Click here to contact us today! TTR is a doctor-led cosmetic clinic specialised in providing personalised care and service to all of our clients. The clinic was established by us- Dr Dilan Fernando and Dr Roshan Vara, we are proud to have created TTR in alignment with our own passion and belief for how aesthetic medicine should be delivered. Last year, one of our closest friends underwent a hair transplant procedure. Despite having some level of success from the treatment, he explained how his experience was made negative by the service offered before, during and after the procedure. We found it disheartening to hear about small but common pitfalls which overall left our friend feeling dissatisfied with his experience. This inspired us to create a clinic which truly embraced our philosophy as doctors, where clients are at the centre of their own care. We have an ambition to establish a leading UK clinic here in the heart of Putney. The choice of location is not random. We have both grown up in South West London from a young age and over time we have gained a close attachment to the local community, one that we hope to service for years to come. We know that within London, there is a drive for health, beauty and well-being. We believe that TTR can play an important role in local people’s lives, with our positive mantra we want to be part of what makes individuals feel great. We understand each person has their own aesthetic journey, our aim is to support you and make it a positive experience. Whether you are at the start of that journey, or at a stage where you have done your research, we welcome you to book a free consultation with us so we can guide you from there. We offer a service with high attention to detail and we take extra care to ensure you are happy with your treatment plan, placing great importance in following you up to ensure you are satisfied with your results. And so, we have made a conscientious effort to provide the latest and safest treatments in cosmetic care. You can trust our doctors to deliver you an extensive service, from the best results with anti-wrinkle and dermal filler injections, to boosting your confidence with our hair loss treatments. We hope to leave you confident in your skin, body, hair and health, all with the personal touch of TTR.